From "Netflix of China" to crumbling empire. With additional reporting by Chris Ip and Richard Lai. Behind the doors of the five-star Bohao Radegast Hotel in Beijing's central business district on Monday, troubled Chinese tech conglomerate LeEco held an extraordinary shareholder's meeting to elect new directors. Outside, some two dozen protesters set up tables and held up signs asking to be paid what they were owed for services rendered. According to multiple reports, they had come from 20 cities all over China and were reportedly due about 33 million yuan (around $5 million) in all. Many of them demanded to see Jia Yueting, but the company's billionaire founder and public face was nowhere to be seen. LeEco's fall from grace has been spectacular. Once hailed as the "Netflix of China," the daring startup and its then-outspoken founder were bold enough to challenge Tesla and criticize Apple as "outdated." But in recent months, the company has faced a series of setbacks, and may be reaching its breaking point. Jia stepped down as chairman and CEO in May, while the company continues to fend off unhappy vendors who are protesting outside its Beijing headquarters. On the other side of the Pacific, LeEco has also massively scaled back its American operations, laying off hundreds of workers in the process, while facing two lawsuits from US TV maker Vizio. Faraday Future, a futuristic car company with close ties to LeEco, recently canceled its plans to build a $1 billion plant in Nevada as well. This is the tale of a company that grew too quickly. It shows how a ravenous appetite for growth without a solid financial foundation can cause a business to topple. Simply tracing LeEco's cash flow is a Herculean task, since its financial activity is obscured by a dizzying organizational structure comprising a publicly listed holdings company, privately owned organization and dozens of subsidiaries. It's incredible that LeEco was able to continue operations for as long as it did without getting into any real legal trouble. But since 2016, it has been slammed with several lawsuits. Manufacturing partners in Asia, including Zhejiang Haosheng Electronic Technology, Compal Electronics and Truly International Holdings have sued for outstanding debt. The most recent significant case was Vizio's $100 million claim for a failed $2 billion acquisition. From interviews Engadget conducted with unpaid vendors, former employees and investors, some of whom spoke on the condition of anonymity out of concern for their careers, it became apparent that LeEco's future may be in serious trouble. When LeEco first started making the news in the US two years ago, the media was fascinated. Jia had an intriguing, albeit complicated, involvement with Faraday Future, and in those early days it was easy to believe that the heretofore unknown company had the means to follow through on all its deals. After all, LeEco was well known in China as a startup darling that swiftly rose to the top of the Shenzhen Stock Exchange's ChiNext board, China's equivalent of Nasdaq. LeEco's rapid expansion after its 2010 listing was impressive. In a few years, it broadened its offerings from an online streaming service to an ecosystem of hardware, including smart TVs, smartphones, bicycles and cars. This kind of diversification requires a sizable injection of cash, which is reasonable if a company is making money. Many Silicon Valley startups rely on venture capital funding for years before even turning a profit. Snap Inc. and Uber report hundreds of millions in losses each year as they continue to survive on investments. But Uber focuses on ride-sharing and self-driving cars, while Snap has kept its hardware efforts limited. LeEco, on the other hand, has expanded on so many fronts that, rather than behaving like one startup, it's behaved like seven. Neither Uber nor Snap has been sued for unpaid bills or reported to be behind on payments to contractors yet either. LeEco's holding company told Engadget that its "innovative ecosystem model has been widely recognized both at home and abroad," noting that it "received the 'North America Smart Technologies Visionary Innovation Award' from Frost & Sullivan" for "'having created a cross-functional ecosystem that allows seamless connectivity and a shared content experience across a variety of form factors and environments.'" "It's a shell game of moving money from one company to another." In 2015, LeEco raised at least 805 million yuan ($119 million) from Series A funding for its sports-streaming division as well as the sale of about 500 million shares. Meanwhile, LeEco's publicly listed umbrella holding, LeShi Internet, reported revenue of about 13 billion yuan ($1.9 billion) for 2015, and profits of 573 million yuan ($85 million). But because of its public-private structure, these figures don't even tell half the story. For years, while it was raising money, the company looked healthy. According to Caixin, it enjoyed "five years of uninterrupted double-digit growth" beginning in 2010. But large parts of the business, including its privately owned sister company, which has major stakes in at least 39 subsidiaries in China, do not disclose its financial performance. Former employees told Engadget that LeEco shuffles funds between its subsidiaries to mask losses. "It's a shell game of moving money from one company to another," one ex-employee said, "if info comes out of LeEco, it cannot be trusted." Zhou Hang, former CEO of ride-hailing service Yidao Yongche, which LeEco bought a 70 percent stake in two years ago, has accused the conglomerate of "misappropriat[ing]" funds to cover its debts. Yidao and LeEco have denied these allegations. In 2016, the company laid out aggressive plans and received even more investment. Its sports-streaming division, LeSports, raised $1.2 billion, while LeEco itself secured $1.08 billion for its car venture and, later, $600 million from a consortium of Chinese corporations and Jia's friends. The New York Times reported that LeEco had raised some $2.1 billion since the start of 2016, partly from a combination of tapping securities brokerages and selling wealth management products to the Chinese public. That year, the company rebranded from LeTV to LeEco and kicked off its operations in the US with a splashy launch event. It also purchased Yahoo's 49-acre Santa Clara site to use as its global "EcoCity" headquarters for 12,000 employees, announced a $2 billion merger with TV maker Vizio and said it would invest $3 billion in a car plant in China. As it continued to sign expensive deals, LeEco soon struggled to pay off its debtors. News of the company's financial troubles trickled out of its regional offices in Asia, leading Jia to admit later that year that the business was overextended. Months later, LeEco let go of 325 workers in its US operations and announced it would focus on selling to Chinese-speaking households. The Vizio deal fell through in April, the company is said to be trying to sell the Santa Clara site, and Faraday Future canceled its plans to build a Nevada factory. Jia Yueting at the Hollywood announcement of LeEco's planned acquisition of Vizio. Up until early 2017, LeEco's fundraising efforts had been surprisingly successful, so where did all this money go? It doesn't appear to have gone to vendors it owes money to. The situation had gotten so bad that LeEco has had to deal with disgruntled picketers at its doors, wielding signs that read, "Return my hard-earned money." Keith Yim, who works for Hong Kong tech news site ePrice.com.hk, told Engadget that as of Chinese New Year in February this year, LeEco still owed his website HK$2 million ($256,000) in advertising fees. As Yim worked with an ad agency that brokered the deal, his company was paid. The middleman, Yim said, had to pay an estimated total of HK$5 million ($640,000) owed by LeEco to a group of the region's tech outlets that it represented, which all displayed banner ads or advertorial packages for LeEco. Yim also claimed that other publications had called LeEco's finance department every day for their unpaid fees. According to him, half of the publications in question were paid before the Chinese New Year holiday, while the remaining were promised their money after that. Pixels, a large ad agency operating in Southeast Asia and headquartered in Hong Kong, ran into similar issues. Its co-founder and CEO, Kevin Huang, told Engadget that he stopped accepting orders from LeEco in October of last year after the tech conglomerate racked up multiple late payments. Huang said his agency had placed ads and advertorials for LeEco for about two years. "I remember that there were no problems at the beginning; it was just like any ordinary deal between an advertiser and media outlets," he said. "They paid on time, they continued to place orders; it was like that for about a year and a half." Around the middle of last year, Huang said LeEco's payments would be overdue by as many as 70 days. LeEco then proposed to pay back its debts in monthly installments. Without disclosing the actual amount owed and the payment period, Huang explained, "Say it was a six-month schedule. They stalled after five months, then we had to chase them again." To date, Huang said LeEco still owes Pixels the relatively small amount of HK$200,000 ($26,000) and continues to make timely payments. "The whole industry got unlucky." Rival agency Innity, which is based in Malaysia, has sued LeTV Sports for approximately HK$3.8 million ($487,000) in outstanding advertising fees. "The whole industry got unlucky. It's just that out of the unlucky ones, we're the luckiest," Huang said, referring to the smaller sum his company is owed. Another Hong Kong publication owed advertising fees by LeEco, Mobile Magazine, showed Engadget an email exchange in which a LeEco employee proposed a payment schedule with installments due in August and November this year. Similar to Pixels, the source ran advertisements for LeEco for a while with no issue, but payments slowed in May of last year. Mobile Magazine has since lodged a complaint in Hong Kong's courts in an attempt to recoup its money. It's a big move for a small outlet, but it might be necessary. 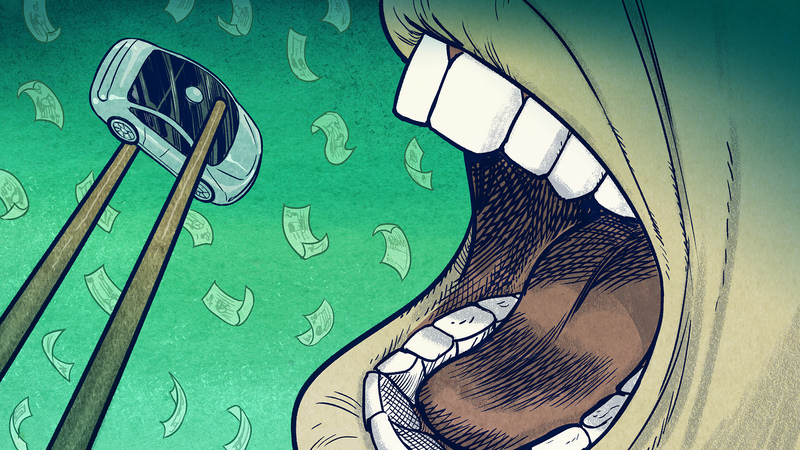 "Honestly, chasing money is about 'Whoever is the loudest will get the money first,' right?" Huang said. "When you go loud, if they get scared, they'll pay you first." Former employees paint a picture of a business that repeatedly missed payments, and a CEO who sat on a "throne" while employees suffered. Inside LeEco, the situation was not much better. Former employees paint a picture of a business that repeatedly missed payments, and a CEO who sat on a "throne" while employees suffered. They told Engadget that some LeEco branches delayed payment to smaller contractors for as long as possible as part of "cost-cutting measures." Some employees said salaries, prior to mass layoffs, were also delayed, while expenses took longer and longer to be paid out. This sentiment is backed up by anonymous reviews on Glassdoor, which claim the company was not "honest to its employees about layoffs and company status." Multiple people have claimed that the US office would roll out a "special cheesy chair" or "throne" when Jia would visit, and rent furniture for the building's lobby "to make us seem like a real company." One review suggested the "throne" is now "collecting more dust in storage" than the "vacant desks previously used by laid off employees." Not all employees that LeEco laid off had a bad experience, though. Shiraz Datta, the company's former senior director of research and strategy in the US, told Engadget after he left that his stint was a positive one. "Yes, there were challenges, but I enjoyed my stay," he said. He also confirmed having received a severance package. As it reportedly continued to incur debts and neglect to timely pay some of its employees, LeEco funneled cash into its LeSEE car-making business. Jia's obsession with automobiles began with a personal investment in Faraday Future, and then he tied that company's fortunes to his own. LeEco's co-founder Ding Lei worked as global CEO at Faraday Future for a spell and also headed up the Chinese company's LeSupercar division. The companies define their relationship as a "strategic partnership," and sources describe seeing Faraday employees at LeEco's offices, in a demarcated area for employees working in the car division. A BuzzFeed report from last year claimed that Faraday Future employees designed LeSEE's concept car and that the company was not reimbursed for their work. LeEco's holding company told Engadget that it has "been very much focused on solving problems we've encountered as we grow our businesses. We always maintain proactive and transparent communications with suppliers and employees to get their understanding and support, at the same time we're pulling all efforts looking for solutions in a collaborative manner." While in a mountain of debt, LeEco agreed to buy a stake in a production company founded by Jia's wife, Gan Wei. The collective symptoms of financial woes points to poor management. Jia himself even acknowledged in a letter to employees that the company "blindly sped ahead" and that "the scale of our external fundraising had trouble satisfying the demands of our rapid expansion." But instead of pulling back its cash-hungry projects in 2016, LeEco continued to seek more financing, offering up more and more shares in exchange. As the company struggled to climb out from under its mountain of debts, it announced plans to buy a web TV and film production company founded by Jia's wife, Gan Wei. According to a Reuters report, LeEco will buy Gan's 47.8 percent stake in Le Young Pictures to "comply with regulations" and resolve an "industry competition issue." LeEco is getting a 50 percent discount on the current valuation of the stake, but even at that rate Gan will reportedly see a 30-fold return on her initial investment. In January this year, after a six-hour-long meeting, LeEco scored a $2 billion bailout from real estate giant Sunac China Holdings Ltd. but had to hand over a 33 percent stake in its business. This lifeline turned out to be more of an apron string. While the backing of a large, stable company bought LeEco time and a reprieve from its debtors, as well as the guidance of an established mentor, it also required sacrifices. In May, Jia stepped down as the public company's CEO, reportedly due to pressure from Sunac, and has since vacated several other positions within the company. LeEco, as it exists today, may not last much longer. Unpaid vendors continue to stake out the company's headquarters, while the ruckus outside the recent extraordinary shareholders' meeting required police intervention. Jia's conspicuous absence led some Chinese media to speculate that he's staying in the US while the drama blows over -- something he has apparently done in similar situations before. LeEco also has to deal with Vizio's suits, which ask for at least $50 million for a breach of guarantee and also claim that LeEco breached the $100 million breakup-fee provision that was part of the $2 billion merger agreement that fell through. Even though both companies blamed "regulatory headwinds" at the time, Vizio has since claimed that the real reason was LeEco's monetary issues and that the deal was meant to mask those problems. In fact, according to Vizio's filing, at the time negotiations for the merger were happening, LeEco "and its far-flung corporate empire had begun to collapse due to their severe cash flow and financial problems." "They desperately needed to either obtain the instant financial stability, credibility and resources that a merger with Vizio would bring, or at least to create a widespread and dramatic public impression of their own financial health and well-being to grow or continue in business that would come with the announcement of such an intended merger." The recent events also drew the ire of Tencent co-founder Liqing Zeng. He called LeEco a scam on his WeChat profile, saying that "anyone who can't recognize such an obvious scheme doesn't deserve to run in investment circles and isn't suited for entrepreneurship." 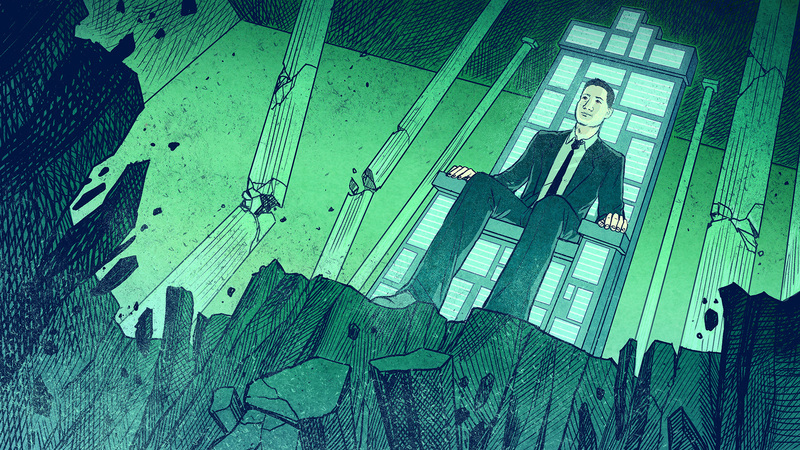 Indeed, some experienced fund managers managed to get out before all hell broke loose. China Bridge Capital, which was the largest external investor in LeEco before Sunac joined in, divested 60 million of its shares of the company in March and April. "[LeEco] is virtually a gone case." A former investor told Engadget that LeEco is "virtually a gone case." The source, who is well connected in the Chinese investment community, speculated that Sunac buying out LeEco would be "the wiser way" but that it would "also come with restructuring of the entire businesses." LeEco's holding company said that it doesn't comment on litigation. It did say that "users are at the center of [our] ecosystem, and we have always been actively seeking for user feedbacks/comments to improve products and services. But this does not include malicious comments or ungrounded speculations about the company." At the shareholder meeting on Monday, Sunac chairman Sun Hongbin and two other directors were elected to LeEco's board. A shareholder who attended the event told the South China Morning Post that Sun is very likely to be appointed as the troubled company's next chairman at another meeting later this week. While Jia's empire continues to crumble, one former employee pointed out that Faraday Future may be the next to falter. The electric carmaker went so far as to design an extravagant 1,400,000 square-foot campus on Mare Island, California, but it has been accused of defaulting on vendor payments, much like LeEco has before. The Verge also reported on internal turmoil and "financial mismanagement" at Faraday late last year, quoting one ex-employee who described the auto company's relationship with LeEco to be like "indentured servitude." The company has since canceled its plans for the Mare Island campus to "focus [its] efforts on the development of one manufacturing facility," but before the world gets distracted by another Jia-backed company that might be on the brink of collapse, LeEco's cautionary tale could turn out to be its ultimate legacy. Update: This report was updated on July 20th at 2:08PM ET to clarify details on Faraday Future's campus plans. Image credits: Koren Shadmi (all illustrations); Jeff Lewis/AP for LeEco (LeEco/Vizio merger photograph). cherlynn (dot) low (at) engadget.com.